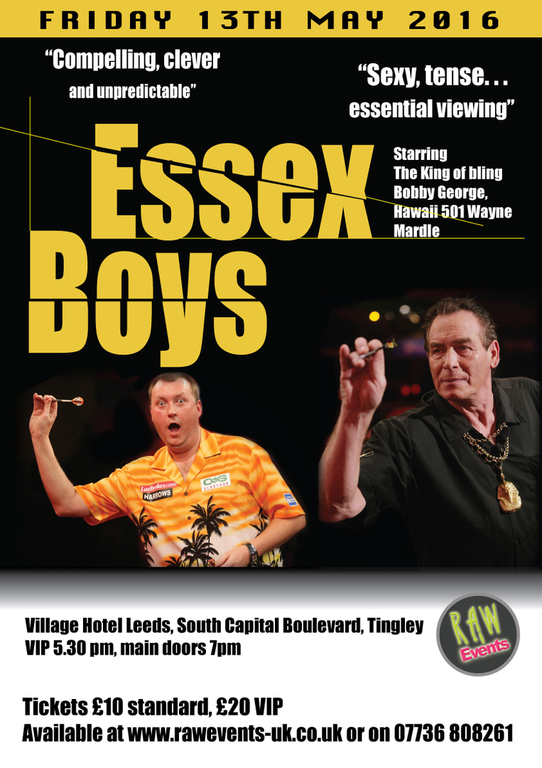 Raw Events presented 'Essex Boys', a night of fun, laughter and exhibition darts plus a chance to play against the professionals at the Village Hotel Leeds, South Capitol Boulevard, Tingley - on Friday 13th May 2016. The event featured 'Hawaii 501' Wayne Mardle and 'The King of Bling' Bobby George. VIP Ticket holders had a meet and greet with the professional players before the show started, providing an opportunity to take photos and obtain autographs.